The pound tried to find its footing on Wednesday after sliding on fresh concerns about the possibility of a “no-deal” Brexit, while the dollar eased ahead of the Federal Reserve’s policy decision. Sterling staggered up 0.2 percent to $1.3091 after suffering a loss of 0.7 percent overnight as lawmakers rejected a proposal to give parliament a path to prevent a potentially chaotic hard exit. Britain is due to leave the EU on March 29. Last week, the pound hit $1.3218, its highest since mid-October, on hopes that London might avoid a no-deal departure from the European Union. “It is difficult to tell what’s next for the pound. But the March 29 Brexit deadline will likely be extended, and the focal point is on when and how such an extension is decided upon,” said Yukio Ishizuki, senior currency strategist at Daiwa Securities. “For now, the focus shifts back to key events with more consequences for the dollar, such as the FOMC (Federal Open Market Committee) meeting, U.S.-China trade talks and the U.S. jobs report,” Ishizuki said. Later on Wednesday the Fed will end a two-day policy meeting at which it is expected to leave interest rates unchanged, after raising them four times last year. Markets are closely awaiting the Fed’s policy outlook after recent comments from officials signalled a slower pace of rate increases this year amid mounting uncertainties over the health of the U.S. and global economies and shaky financial markets. Traders are pricing in only a slight chance of one rate increase for 2019 as a whole, though most economists polled by Reuters last week still expect two, in the second and fourth quarters. “The Fed is widely expected to stand pat on policy. But the dollar could face pressure if the Fed opts to highlight negative effects of the U.S. government shutdown in its statements,” said Masafumi Yamamoto, chief forex strategist at Mizuho Securities. Markets were also focused on U.S.-Sino trade talks in Washington on Wednesday and Thursday, while the closely-watched U.S. jobs report will be released on Friday. Any escalation in the U.S.-China trade war would trigger a sharper downturn in the global economy, according to the Reuters poll last week. While China has offered to buy more U.S. products, sources say the two sides remain far apart on key structural issues, and Washington has threatened to hike tariffs if no solid progress is made before an early March deadline. Against the pound the euro was slightly lower at 87.41 pence having surged 0.8 percent on Tuesday. The single currency was steady at $1.1435 after brushing a two-week high of $1.1450 overnight. 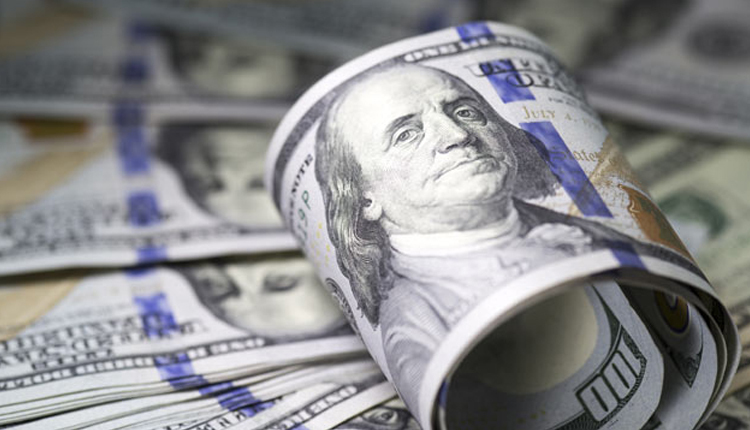 The dollar index against a basket of six major currencies dipped 0.1 percent to 95.732 following a slip to a two-week low of 95.620 overnight after U.S. Treasury yields declined ahead of the Fed’s policy statement. The greenback edged down 0.1 percent to 109.29 yen, handing back the previous day’s modest gains. The Australian dollar was up 0.5 percent at $0.7192 , lifted after the country’s consumer prices beat expectations last quarter. Australia’s consumer price index (CPI) rose 0.5 percent in September-December, surpassing forecasts for a 0.4 percent increase. A further sharp rise in iron ore prices also boosted the Aussie. China’s yuan extended its gains and advanced to 6.7135 per dollar in onshore trade, its strongest mid-July 2018. The yuan has gained more than 2 percent versus the dollar so far in January, helped by optimism over U.S.-China trade negotiations and a dovish-sounding Fed which has curtailed the U.S. currency’s strength.